Board Bob Horning - Jericho Road, Inc.
Bob Horning holds an AA Degree from Hartnell Community College; Certificate in Data Processing from Heald Business College and is a Certified Business Continuity Professional designated by the Disaster Recovery Institute International. 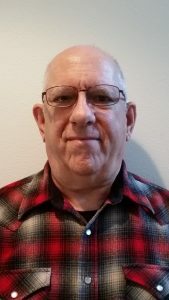 Bob worked for more than forty years in Information Technology serving as an Operations Analyst, Operations Supervisor and Data Processing Manager. For ten years prior to his retirement, Bob served as a Data Center and Disaster Recovery Administrator. Mr. Horning has also served as a volunteer with the St. Vincent De Paul Society, Warrensburg Senior Center, Redmond Library and Jericho Road. Bob is currently a member of Highland Baptist Church.